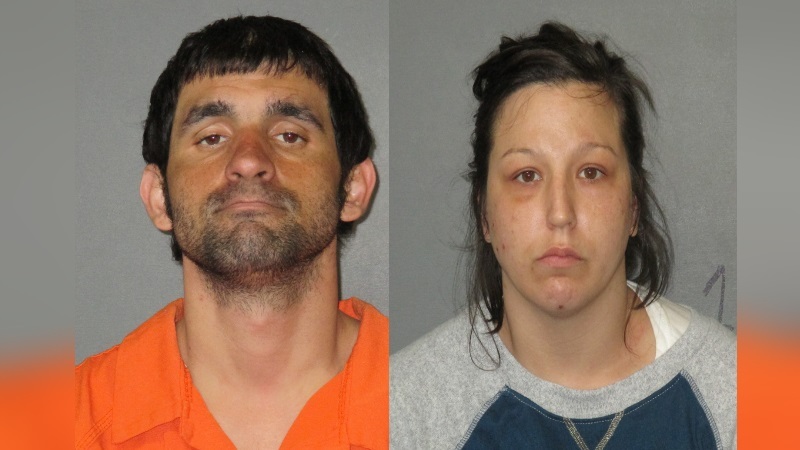 BATON ROUGE - Four people have been charged following an overnight police chase through Baton Rouge. Around 12:40 a.m. a stolen vehicle was located in the 6800 block of Calumet Street. Officers with the Baton Rouge Police Department attempted to stop the vehicle, but the driver refused to pull over. After the vehicle hit a pole, two suspects jumped out and attempted to run. They were immediately apprehended. Two other suspects continued to flee in the vehicle after the crash. They were finally stopped when they drove over spikes that were placed in the roadway by authorities. Police say Dylan Sullivan and Jesse Sullivan were apprehended in the 2100 block of O'Neal Lane. Roderic Porter and Krystal Turner were identified as the other two suspects they were both arrested. Police said one of the department's license plate readers scanned the vehicle's plate without the suspects' knowledge, alerting them that the vehicle had been reported stolen. Arrest documents say Dylan, who was the driver, admitted to "shooting up" meth before police tried to pull them over. He has been charged with hit-and-run, unauthorized use of a motor vehicle, resisting an officer, possession of drug paraphernalia, possession of drugs, and having a suspended driver's license. Dylan also had outstanding warrants from other parishes. Jesse along with Porter and Turner have been charged with unauthorized use of a motor vehicle.